Welcome to the website of The Mixed Division trading as The Mixed Group. 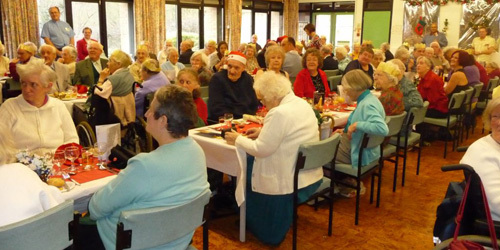 We are a local charity raising money to fund an annual Christmas Day meal and annual Summer Cream Tea for lonely and elderly residents living within the Borough of Welwyn Hatfield. By supporting The Mixed Group, you will help to ensure that the day is a success and enjoyable for all those attending. Please feel free to browse our website and if you would like to help us out in any way or attend one of our events, please use the Contacts page of this website. As a Registered Charity (1116340), we encourage all tax-paying donors to sign Gift Aid forms. This allows us to reclaim basic tax on donations. You only need to sign one form, and this will cover all future donations made to The Mixed Group (unless you advise us that you no longer want us to reclaim tax on your donations). Please click here to download a Gift Aid form. Please note that we are unable to reclaim tax on donations from companies. Watch our fantastic promotional video! Click above to watch our fantastic new promotional video. The video was shot, edited and provided completely free of charge by Stainless Media. Yes, that's right, The Mixed Group are finally on Facebook and Twitter. 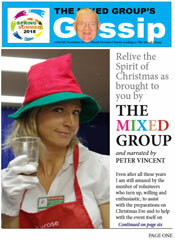 You can join our Facebook group or follow us at @MixedGroup to keep up-to-date with all the latest news .